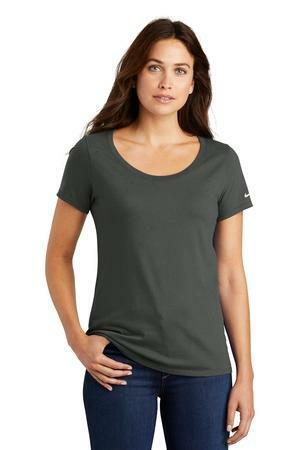 The Nike Core Cotton Tee is made of pure cotton for all-day comfort and lasting wear. Durable rib knit scoop neck with interior taping. Heat transfer label for tag-free comfort. Double-needle stitching throughout. Contrast heat transfer Swoosh design trademark on left sleeve. Made of 4.6-ounce, 100% ring spun cotton (solid colors), 4.4-ounce, 80/20 ring spun cotton/polyester (Dark Grey Heather).